Elijah Parish Lovejoy was a Presbyterian minister, the editor of a religious newspaper, the Alton Observer, and an abolitionist. He adamantly defended the right of freedom of speech, freedom of the press and the freedom from slavery. In November 1837, he and 20 of his supporters tried to protect his printing press from destruction by an angry mob of pro-slavery proponents. 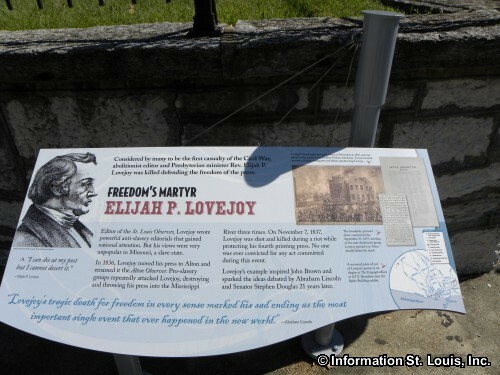 Lovejoy was killed and the mob destroyed the press and threw it into the Mississippi River. Lovejoy was buried in the Alton Cemetery in an unmarked grave for fear that it would be disturbed by those who had been against him. 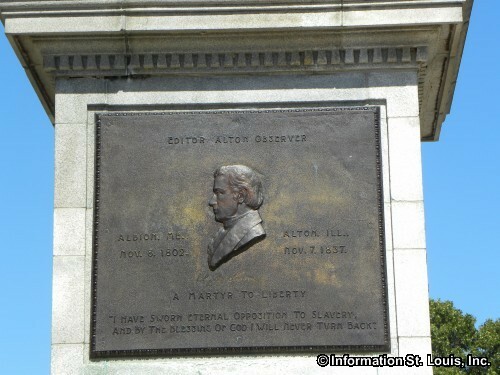 Sixty years later, a memorial monument was erected in honor of Lovejoy and his freedom of speech and anti-slavery stance. 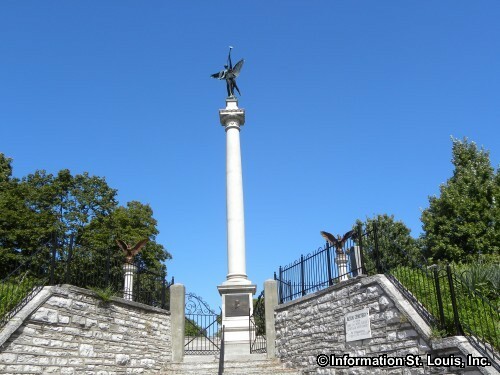 The monument is a 110 foot tall granite column with a winged statue of Victory at the top. Interestingly, if two people sit at opposite ends of the curved seat and one whispers to the other, they can hear each other perfectly! 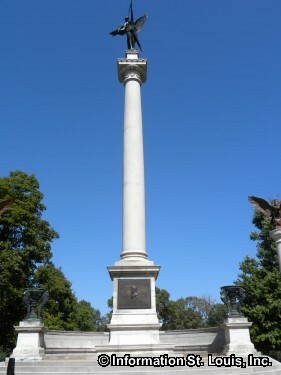 The monument is located in the Alton Cemetery and can be visited during regular cemetery hours. There is no charge.